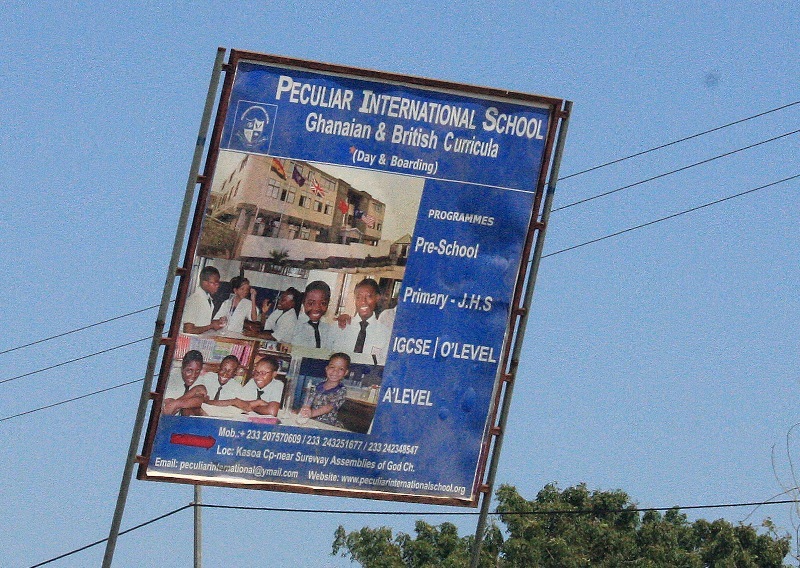 The only positive thing about traffic in and out of Accra is that it gives you plenty of time to admire billboards and shop signs along the road. And some of them are indeed spectacular. 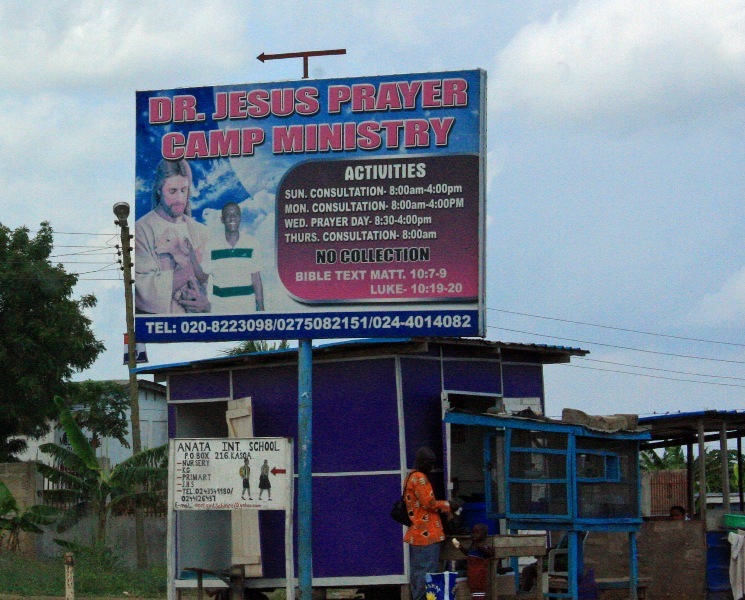 Now Ghana is a very religious place, so it shouldn’t come as a surprise that most signs have a spiritual (if not biblical) content. 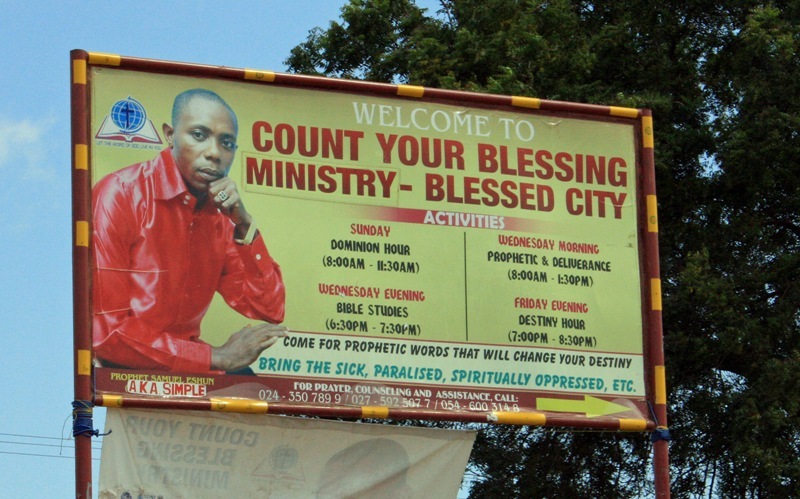 At the very least, your business should be blessed and anointed in the oil of holy deliverance. 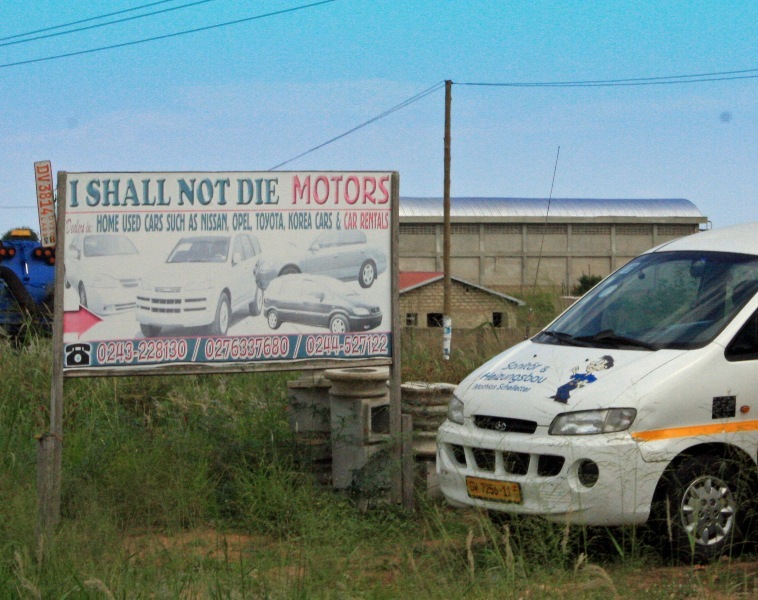 And, sister, you don’t just own a small home appliances shop – you run God’s power house. 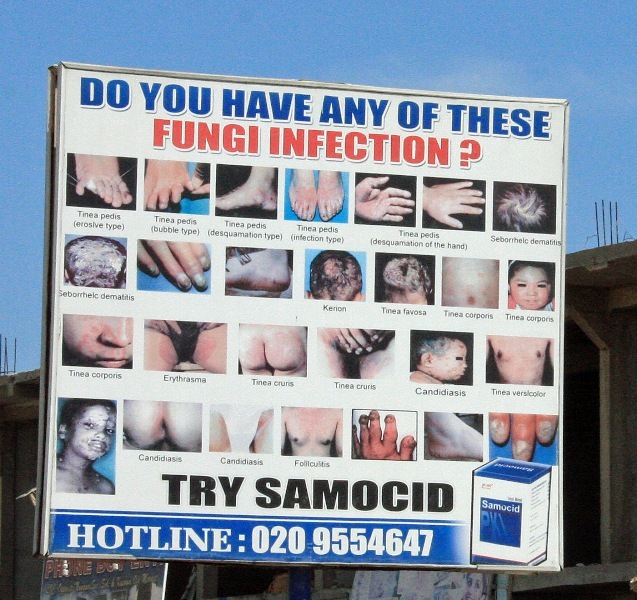 Here is a selection of my favourites, captured just outside Accra, in a place called Budumburam (reminds me of something…). This looks very promising. 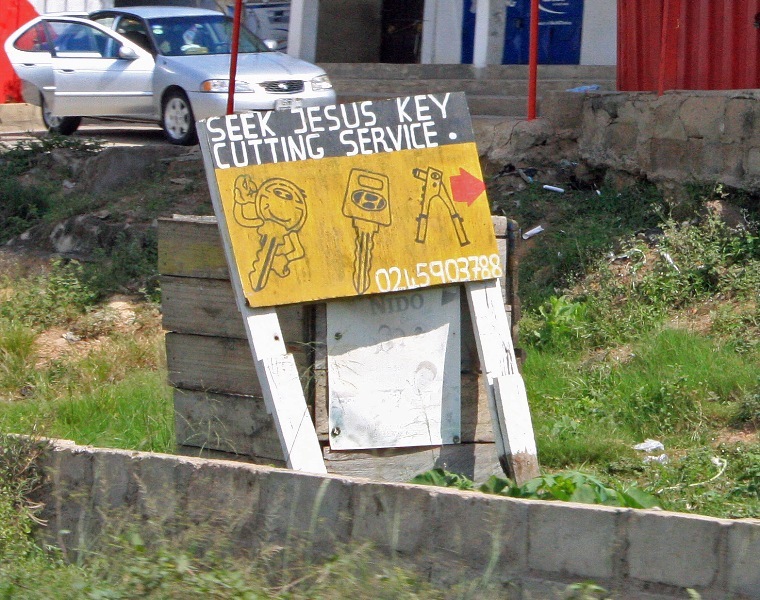 But I wonder about the pastor’s name? You can’t go wrong with an anointed square pipe, right? 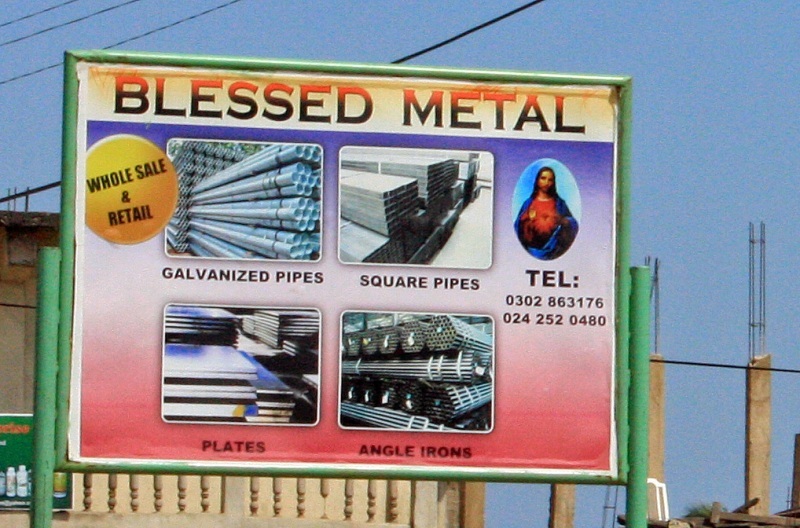 Categories: Faith, Humour | Tags: Accra, Billboards, Ghana, God, Marketing, shop signs | Permalink.